I read Laura Holloway’s article from start to finish and nodded the entire time like one of those souvenir Chihuahua figurines in the back of a 1970s Chevy Impala. Laura references a few of the better story-based content marketing campaigns of the last year before imparting wisdom on sharing a great story. She preaches the virtues of honesty and originality in storytelling. My husband, for one, is a naturally brilliant storyteller. I’ve seen him tell a story about falling asleep during a hearing test at work that was wee-yourself funny. After conducting an unfunded study of his storytelling skills, I’ve concluded his brilliance comes from raw honesty, just like Laura advises. The theme of Dave Murrow’s article couldn’t be more appropriate except instead of advising you to ditch toxic “friendships” (I mean, duh), he’s sharing salient pointers on sloughing the burdens from your content marketing in 2015. As we all know, there is a lot that you can dump into your strategy, but is it moving your forward or holding you back? Dave advises looking at key performance indicators when deciding what stays and what goes. He also points out what constitutes effective content marketing in case you’re not sure where to start shaping things up. All five of Armando Roggio’s ideas for content marketing in January 2015 are so full of win that I really need to say no more (and yet, that’s not stopping me). It’s like Armando took every fantastic suggestion for content marketing and boiled it down into one easy-to-read article. From making infographics to videos to embracing Martin Luther King, Jr. Day, Armando explains why each of these ideas is solid and he specifies how to implement them. Is 2015 the Year of Content Marketing? 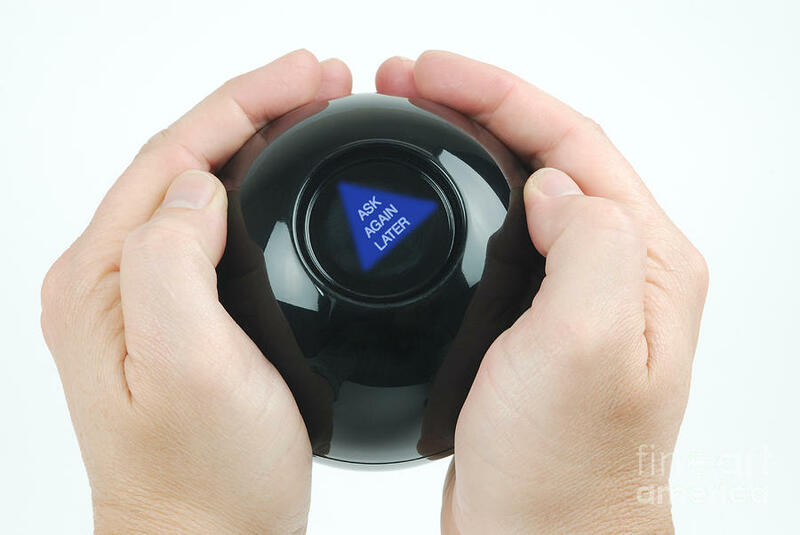 When I asked my Magic 8-Ball this question, it suggested I ask again later, but thanks to Patrick Murphy’s post, I can deduce from his run-down of the essentialness of content marketing in 2015 and description of what content marketing does in 2015, that this will definitely be the year of content marketing. That said, Patrick provides a handy-dandy recipe for what kind of content marketing strategy you’ll need for this to be your year as well. In case you haven’t already made your New Year’s Content Marketing Resolutions, take a page from Adam Weinroth’s resolutions playbook and adopt these three winning ideas for yourself. From having the right team to knowing your brand like the back of your hand, these little resolutions are going to make the difference between a fantastic 2015 and a year of wishing you could start over again already (the jury is still out on whether or not they’ll make you lose weight and feel great in eight days or less, though). So many content marketing minds share tips and guidance on strategies, tools, and ideas for a content marketing approach; however, Anil Valvi reminds us that at the heart of all of these efforts is customer engagement. Anil provides ideas on how to engage customers because if all of your well intended efforts alienate or annoy customers, you’re essentially spinning your wheels. If you’re not sure how relevant video marketing is, then do not stop to pass go or collect $200; just read Riley Wilson’s article as soon as you can. If you didn’t realize that as many as 2/3 of video views take place outside of YouTube or that over half of all Facebook users are sharing videos, then this article is for you. Riley hones in on the relevance of these statistics as well as what major companies are moving in which direction, which could strongly impact your next step. As soon as I read that Graham Jones was an Internet psychologist, I kicked back into my imaginary chaise lounge and read on. Graham explains the rationale behind why web visitors want more information (after all, you think they’d want less given how much information is already out there, right?). Essentially, folks want to minimize risks by being better informed. A self-proclaimed information junkie who researches the bejeebus out of everything before making a decision, I totally agree with Graham’s logic. If you’re not also convinced, read what the doc has to say. Amanda Clark points out what everyone else is saying, which is that there’s a world of difference between having content marketing and having content marketing that’s actually working. If you find yourself in the camp of those who have content marketing but it’s stalling out, check out this quick read of tips (like that the ideal length for a Facebook post is 40 characters) for getting your content marketing off the shoulder and into the fast lane. Vroom, baby, vroom. In much the same way “accidentally” making too much buttercream icing will doom your 2015 health resolution, these six uh-ohs described by Don Broekelmann will doom your integrated content marketing strategy. As Don points out, content marketing is generally a collaborative process, so unless you’re a lone ranger, this advice could save you from imminent defeat. While I know that in Bossypants Tina Fey said that when you have to do something (like you have to eat to stay alive), it doesn’t need to be said, so while you might eventually get your start-up chugging without these handy tools provided by Elizabeth Goldman, why not speed up the process? After all, as some inspired mind once wrote on the no-longer-existing site Ruminations.com, why start a fire with sticks when they’ve invented the lighter?